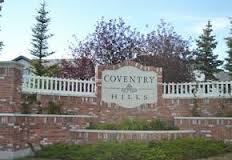 You will find here all the homes currently listed for Sale in Coventry Hills. Please E-mail Glen at Glen@Godlonton.com to view any of these Great homes , before they are sold. More importantly as to be informed of any Past Sale Prices and any new listing that we may know about that are coming on the market in the near future. Coventry Hills is suburban residential neighbourhood in the north-east quadrant of Calgary, Alberta. It is located at the northern edge of the city, and is bounded by Stoney Trail to the north, Deerfoot Trail and the Nose Creek to the east, Country Hills Boulevard to the south and Harvest Hills Boulevard to the west. You will find the Harvest Hills golf course bordering the community on the south end. 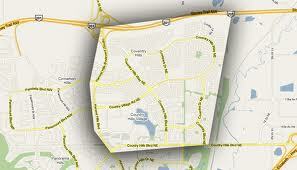 Coventry Hills Calgary was established as a neighbourhood in 1991. It is represented in the Calgary City Council by the Ward 3 Councillor. In the City of Calgary’s 2012 municipal census, Coventry Hills Calgary had a population of 15,969 living in 5,322 dwellings, a 1.6% increase from its 2011 population of 15,722. With a land area of 4.1 km2 (1.6 sq mi), it had a population density of 3,890/km2 (10,090/sq mi) in 2012. Residents in this community had an average household income of $70,096 in 2000, and there were 6% low income residents living in the neighborhood. As of 2000, 12.9% of the residents were immigrants. All buildings were single-family detached homes, and 3.9% of the housing was used for renting. Coventry Hills has two public schools, Coventry Hills Elementary School (K-4) and Nose Creek School (5-8), and two separate schools, St. Claire Catholic Elementary School (K-6) and Notre Dame Catholic High School (10-12). The Northern Hills Community Association (NHCA) was established in 1998 and is comprised of Coventry Hills Calgary, Panorama Hills, Harvest Hills, Country Hills, and Country Hills Village. These communities are all relatively new residential developments located on the northern edge of Calgary. The current population of these communities is in the order of 50,000 people and is expected to grow to about 60,000 people when completely developed. The population encompasses a wide variety of ethnic and socio-economical backgrounds. There are several golf courses in the area, as well as numerous restaurants, shopping facilities, theatres, and indoor and outdoor recreation facilities. The area includes commerical and retail business enterprises and light industrial business parks. 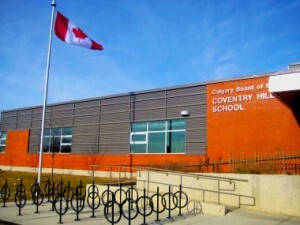 The Northern Hills area is home to numerous public and separate elementary, middle, and high schools, and is serviced by police, fire, library, and other City of Calgary support services. It is bounded on the south and west by Beddington Trail, on the north by Stoney Trail, and on the east by Deerfoot Trail. The NHCA currently maintains an office in Cardel Place. Being the recognized voice for these rapidly developing communities, the NHCA is active in the areas of community planning and development, community advocacy, beautification and enhancement, sports and recreation, and traffic and noise issues. The NHCA operates the largest community-based youth soccer program in Calgary with some 1200 registered children and also publishes a monthly newsletter that is delivered free to 15,000 residents and businesses in the area.